A school supply requirement, having a reserve of loose notebook paper throughout the year allows students to replace or add paper to existing three-ring binders as needed. 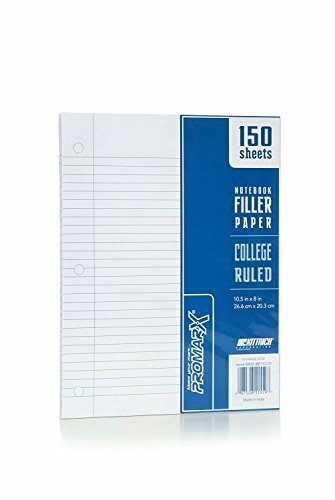 Promarx produces bright white college ruled paper for a clean surface every time. 150 sheets of shrink-wrapped college ruled paper. If you have any questions about this product by Useful Universe, contact us by completing and submitting the form below. If you are looking for a specif part number, please include it with your message.